On a freezing journey from Venezuela, hardship and hope for a migrant family. RUMICHACA, Ecuador — It's a pivotal moment in every girl's life, but for 11-year-old Nataly*, it didn't begin in the safety of her home. It started along a highway, in freezing temperatures, at a border crossing on the outskirts of an unfamiliar city. Nataly was with her family walking through Colombia to Ecuador when she began to bleed. She had just gotten her first period. That meant she didn't have access to a bathroom or menstrual hygiene products, let alone any pain relief. Her mother, Sara, recalls the moment Nataly felt a sharp pain in her stomach and began to bleed. "I have mixed feelings that my daughter experienced this change on the open road like this," says Sara. "On the one hand, I was glad I was with her. But it was also sad because we had to keep walking and Nataly wasn't feeling well. She didn't know what was happening. She thought she was ill. We had to explain to her what was going on." Nataly and her family are just a few of estimated 1.3 million Venezuelans that entered Ecuador last year, many of them en route to Peru, Chile or Argentina. A December 2018 report from the United Nations Refugee Agency and the International Organization for Migration estimates that social and economic collapse will drive at least 2 million Venezuelans to flee their country in 2019, bringing the total number of Venezuelans living abroad to at least 5.3 million by the end of the year. Reports of xenophobia and discrimination are on the rise: Ecuadorean officials announced a crackdown on Venezuelan migrants in mid-January after a woman was killed by a Venezuelan expat. The journey is particularly tough for children like Nataly, not least because she isn't used to such cold temperatures. In her hometown of Cagua, Venezuela, the average temperature is around 86 degrees. But here, the temperature dipped to 37, forcing Nataly to cover herself with a blanket and two jackets. Her eyes betray her exhaustion from walking for days on end, but she manages a smile. At least she is with her family. As part of its efforts to ease the tough conditions confronting the children making these journeys, UNICEF has been working with national authorities to provide some basic necessities, including blankets and baby care supplies. In addition, tents and Child-Fiendly Spaces for temporary rest have been set up to help families on their journeys. Sara says that her family also relied on the kindness of strangers as they walked for days along motorways in Colombia. Sometimes, they would even hitch a ride with a car heading in their direction, Sara says. Nataly and her family made the journey to Ecuador in August 2018. So, what happened after they arrived? Sara got in touch with the UNICEF Ecuador team recently to say the family had started a new chapter in their lives in Guayaquil, in Ecuador’s Costa region. She says that although the original plan was to head to Lima, Peru, the family decided to settle there for now because of the support they had received from people in the city. “We’re doing well. I got a job with a mobile phone company and we’re doing all we can to make sure Nataly starts school as soon as possible,” Sara says. 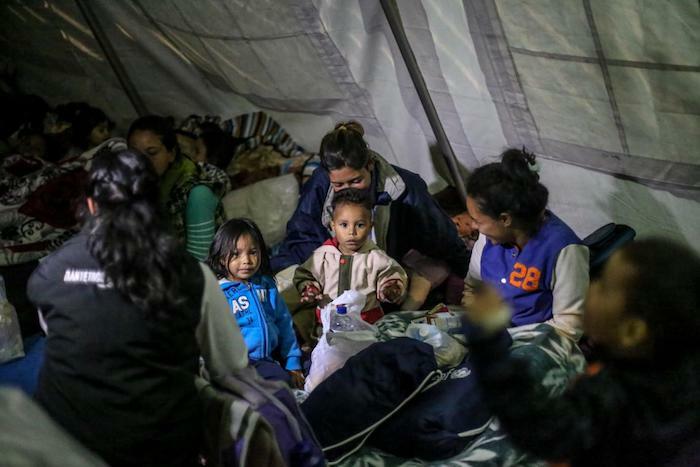 About 30 percent of Venezuelans entering Ecuador will decide to stay in the country. 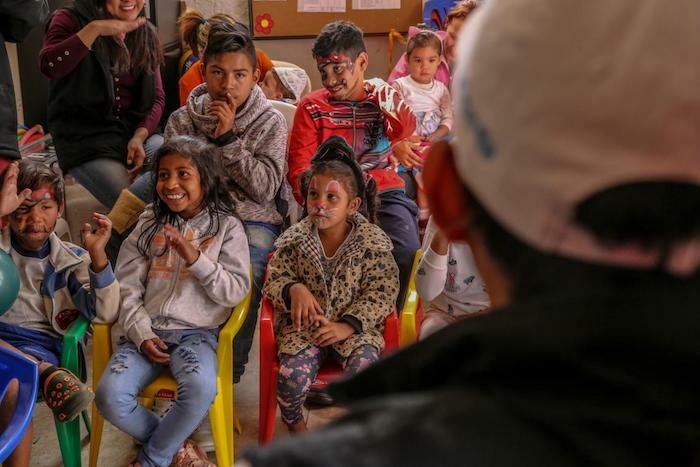 To help them get settled, UNICEF is working with the Ministry of Education on the inclusion of Venezuelan children in schools and on specific programs to combat xenophobia and discrimination. This complements ongoing work to ensure that all Ecuadorian children receive a quality education. 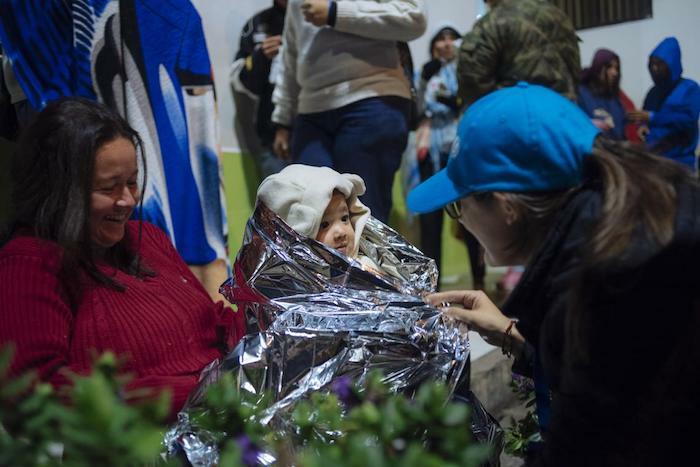 Meanwhile, UNICEF is also working with the Ecuadorian authorities to guarantee the rights of Venezuelan children and adolescents entering the country, including helping with the implementation of the Protocol for the Assistance of Children, Adolescents and Their Families in Contexts of Human Mobility in Ecuador. The protocol, which was approved by the Ministry of Foreign Affairs and Human Mobility, the Ministry of Economic and Social Inclusion and the Interior Ministry, will be vital in helping the hundreds of children who have not been registered because they lack the necessary documents or exit permits, or because they are traveling alone, by ensuring protection measures are in place and by helping identify children who are victims of violence, trafficking or exploitation. As she made the journey to Ecuador, Sara said that she never imagined she would leave Venezuela this way, much less with her daughter. UNICEF and partners are working tirelessly in Ecuador, Venezuela, Syria, Yemen, South Sudan, Bangladesh and around the world to save and protect children. With a presence in 190 countries and territories, UNICEF has helped save more children's lives than any other humanitarian organization in the world. *Nataly’s name has been changed to protect her identity.